The traditional International Short Film Festival in Dresden was held from 14th to 19th April 2015. Jiří Menzel, who also led the so called Masterclass with young film makers on the topic “About the Responsibility of Creators” was the main guest of the festival. His short films (Our Mr. Foerster Died /1963/ and One Moment /2002/) and the feature film Capricious Summer were shown within the festival blocks. Jiří Menzel also spoke to local media during his working stay and gave a longer interview to ARD TV station. His presence was highly appreciated by the organizers as well as the festival visitors. 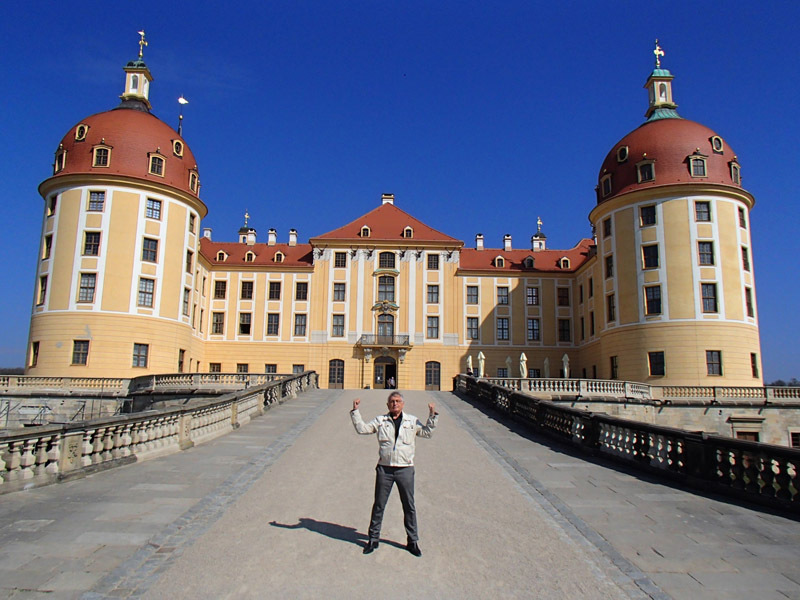 Within his visit to the festival Jiří Menzel “conquered” the chateau of Moritzburg again. He was last here during the filming of Grimm’s fairy tale “How Six Men got on in the World”. 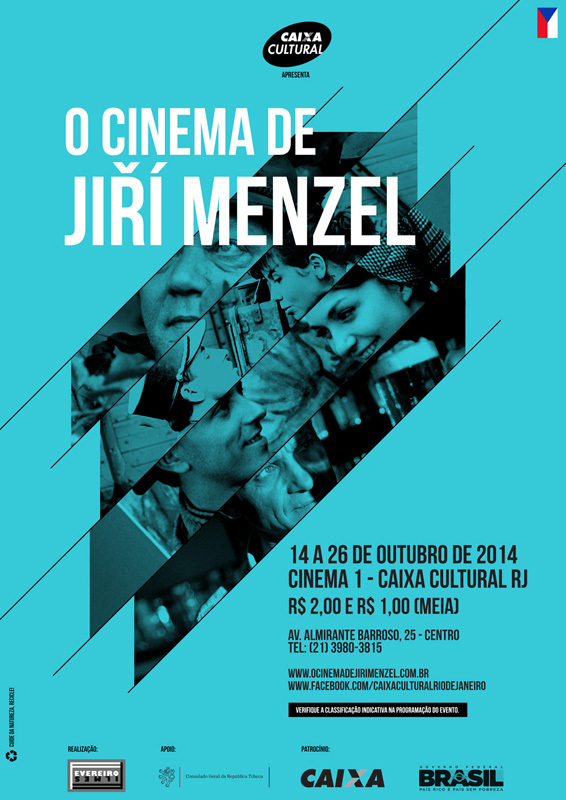 A festival of Jiří Menzel’s films is being held in the Caixa Cultural Centre in Rio de Janeiro from 14 to 26 October 2014 at presence of the legendary filmmaker. The latest film of the Czech director “Don Chuans” was presented at the opening of the festival called “The Cinema of Jiří Menzel”. The programme includes all J. Menzel’s feature films: Closely Watched Trains, Seclusion Near a Forest, Cutting It Short, My Sweet Little Village, Capricious Summer, The Snowdrop Festival, I Served the King of England, End of Old Times, Life and Extraordinary Adventures of Private Ivan Chonkin, Crime in a Music Hall. 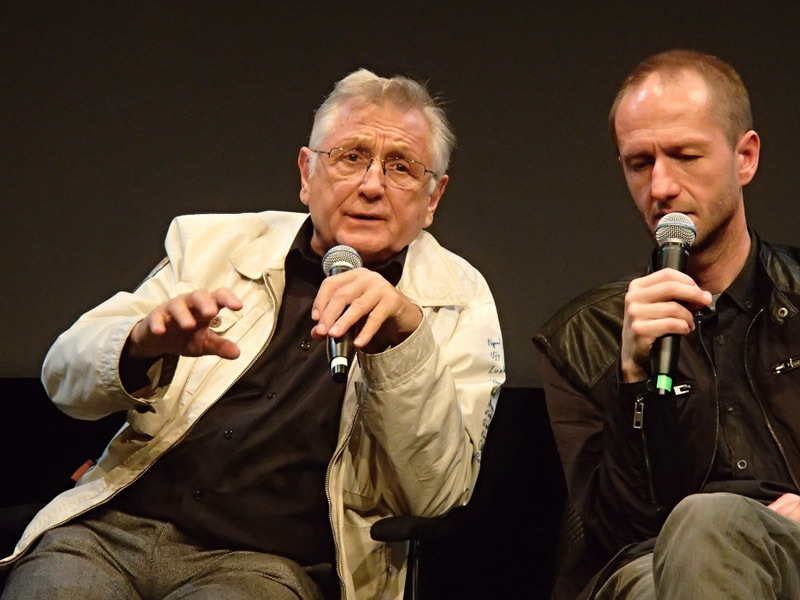 As Jiří Menzel has said to Czech Television, viewers of all age categories visit the film projections and the halls are full. Apart from discussions with viewers the director also plans a so called Master Class where he will share his experience from his life achievement with students and film lovers. A discussion with presence of an important film reviewer José Carlos Avellar and Czech Consul Lucie Lachoutová is going to take place at the end of the festival. Great success of Jiří Menzel in the State Opera Budapest. Jiří Menzel is particularly known as a film director, however his theatre direction is an inseparable part of his life work. He has even five opera directions on his account. The first one was “Evil Deer” in the National Theatre in Prague (1989), then he guested in Cagliary, Italy with “Dalibor” (1999). His direction of “Don Giovani” in the revolving auditory theatre in Český Krumlov and in the South Bohemia Theatre in České Budějovice was very well-done. He also directed opera “The Love to Three Oranges” in Belgrade. 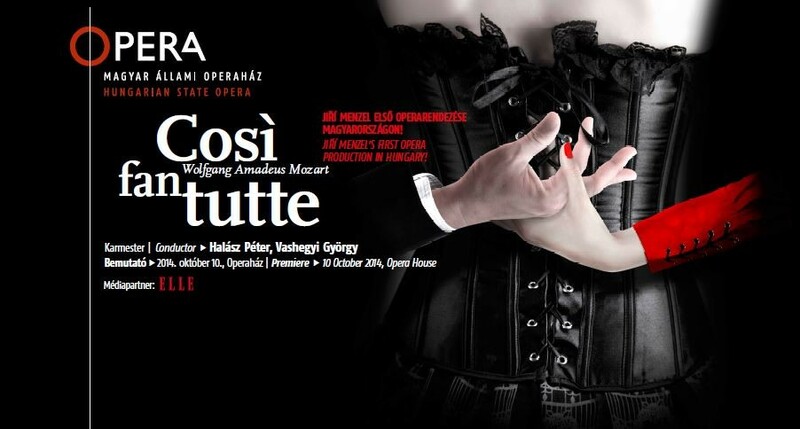 This year Menzel has returned back to his most favourite composer Mozart and prepared “Cosi fan tutte” for the State Opera in Budapest, the premiere of which took place on 10 October. Roaring applause was the evidence of high quality of the performance. Jiří Menzel replies to a question what the work in the theatre was like: “I had a good luck with a perfect ensemble, young singers and other members of the ensemble, with whom the cooperation was great. We got incredibly well along with excellent young conductor Péter Halász.” It is worth mentioning that Czech artist Zimula Sylvia Hanáková was the author of the costumes reminding of Rococo style. Young Hungarian artist Gergely Zöldy Z. created a semi-circular stage. Jiří Menzel is a highly respected person in Hungary and this staging brought him further supporters. He was awarded a high state distinction the Order of the Medium Cross with a Star by the Government of the Republic Hungary in 2014. Scéna, kterou navrhl, umožňuje zpěvákům velmi svobodný pohyb na scéně. Tím se dotvořila celková odlehčená atmosféra celého představení. Jiří Menzel je v Maďarsku velmi uznávanou osobností a touto inscenací si získal další příznivce. Za jeho tvorbu mu bylo v roce 2014 uděleno Vládou Maďarské republiky vysoké státní vyznamenání Řádu středního kříže s hvězdou.